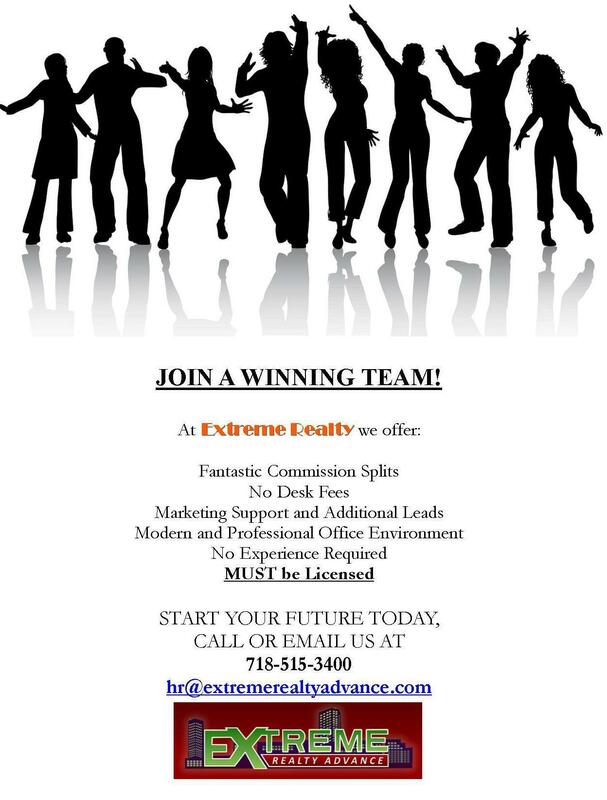 Extreme Realty Associates is an exceptional, full service New York State real estate brokerage offering personalized, professional realty services within The Bronx, Brooklyn, Queens, Manhattan and Lower Westchester County to residential as well as commercial real property buyers, sellers, renters, landlords and investors alike. Our state-of-the-art real estate Web site offers full and sign in free access to all residential property listings such as single family houses, multi-family houses, homes, condos, coops, apartments, estates and building lots, as well as all commercial properties such as office-, professional-, business- warehouse- and manufacturing spaces, shops, stores, garages, apartment buildings of all sizes, and any other type of real property listed for sale, rent or lease with the Westchester Putnam Multiple Listing Service (WPMLS). In addition, we also provide extensive, fully searchable databases of exclusive and in-house real estate listings of properties for sale or rent which are constantly updated by us. Furthermore, there are a number of complimentary, easy to use research tools, essential reports and valuable resources installed throughout our realty Web site. Visit also our informative real estate blog providing you with the latest local real estate market trends, news and information, or explore the wide range of additional realty related services we offer. Please contact any one of our top rated real estate professionals if you are planning on selling, buying, investing, renting or leasing within The Bronx, Brooklyn, Queens, Manhattan or Lower Westchester County. We provide home buyers, home sellers, renters, owners, landlords and investors with a wide range of real estate consultation and representation services. Real estate career opportunities available. This Web site has been optimized for Internet Explorer 8 or higher with the text size set to "Medium". Both a Flash Player and PDF Reader need to be installed on your computer to be able to use some of the advanced tools and content. You may download these programs at Adobe.com free of charge. At Extreme Realty Associates we are committed to providing excellent service while assisting you in your selling, buying, renting or leasing process. We employ Realtors® who distinguish themselves in today's real estate market. It is the attention to the fine details that set our real estate professionals apart and continue to make Extreme Realty Associates THE place to buy, sell, rent or lease any type of residential or commercial real estate. Please contact any of our accomplished real estate professionals, whether you are looking to buy, sell, rent or lease any type of residential or commercial real estate, for professional advice, property search assistance, and any other questions or concerns you may have. You'll be able to access and explore each agent's service history, area of expertise, specialties, and contact information by clicking on the links beneath their portraits. Please research and contact any one of us today... we are always ready to help.